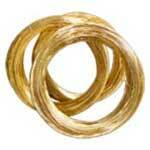 We offer high-quality copper based wires like brass wire, Non- ferrous wire, EDM wire, PB Wire, Nickel Wire etc. in volumes and at highly economical rates. 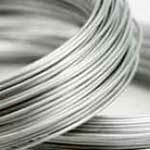 Our galvanized wire is known for its solidity and has diverse use in different fields. 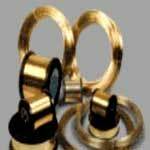 In addition to it, our non-ferrous metal wire is also the most sought after product on the sale for its strength and firmness. 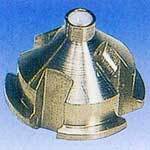 We also provide equipments/consumables & spare parts for different types of machines viz. CNC Wire Cut, EDM Drill and Dies & Punches for Pharmaceutical Machines (Wire guide, power connector, flow meter, roller, EW wire bunch, nozzles, die punches, bellow, resin, etc). 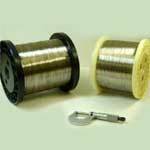 We are also prime Phosphor Bronze Wire Manufacturers in the market. Our products are high on demand in the industries like automobile, Electric/Electronics, spring, paper, mash stamping & Press Tools /Molding Parts, Tool Room & Training Centers etc. Our quality of products and customer centric approach have won us the coveted quality certification as an ISO 9001:2000 company affiliated to JAS-ANZ. We offer our products according to customer’s demand for size, quality, grade, temper, weight and packing.